One of the Bard's best known comedies, follow the exploits of Petruchio and Katherine as they do a dance of love and hate, while Lucentio and Hortensio try to fool all and win the love of the innocent yet wicked Bianca. 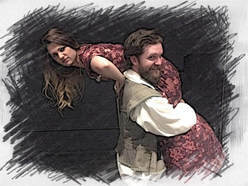 Will Katherine give in to Petruchio's love? Will Hortensio be discovered as he hides in pursuit? Is there ever a man so bereaved as the merchant Baptista?Join us at The Citadel Stage to find out!